I completed a series of coolsculpting treatments with sensational skin and I had fantastic results! Coolsculpting really works. The staff was knowledge and very friendly. I’d recommend to everyone. I just completed a package of Cool Sculpting here and I really had an excellent experience. The office is very nice and the front desk staff are great! Consultations are complimentary and very thorough!  I met with Susan for my consult and she was extremely knowledgeable about Cool Sculpting and answered all of my questions. I had been researching it for quite some time and I finally decided to do it. The same happens before each hand piece is applied to ensure correct placement for the best results! Not to mention I’m pretty sure they have just about the nicest treatment rooms. Giant flat screen tv with Apple TV, movies and tv shows galore and netflix. Plush robes, blankets, and a nice remote control chair so you are super comfy laying back watching a movie for a couple hours. They also have 3 machines (wow!) so you can do multiple hand pieces at once! Susan always comes to check if your comfortable too. I can see this becoming very addicting! Will definitely be back for more areas and will update review in a few weeks when I see the results. I also have 2 more Velashape treatments to go as well. Very attentive and they have set a great standard in customer service. Great value. Happy with results. They have many services to offer. I hope to be able to try some of them in the future. The technician was very nice and made me feel very comfortable. I am really pleased with the results of their procedures.I would recommend them. I will continue to use their services. I had a great experience here and plan on returning for additional treatments and other services they offer. Susan was very accommodating- I have a crazy schedule and lots of personal stress. I have been doing a poor job at time management and remembering my appointments. She worked with me on getting me in and even rescheduled me last minute AND she was very nice about it. All of the staff were very nice. I liked that Susan did not waste my time and worked to get me in and out as I really don’t have time to treat myself right now. Nonetheless, she did take time to talk to me about other treatments that I am interested in while setting me up with my coolsculpting treatments. I learned, too, that I will receive a great price on additional treatments since I am a client. This place is not convenient for me as it is an hour and a half away but I will certainly be back. Sensational Skin has transformed my life! From Coolsculpting to their facial treatments, I’ve been getting countless compliments on my skin and body. I was always a skeptic when it came to magic fat reduction treatments, but after seeing results from a close friend of mine, it didn’t take much convincing to try Coolsculpting. First off, the entire Sensational Skin Staff is absolutely wonderful. Jamie, Susan, Margret, and Dr. Brown love them all! They are always very responsive to my questions, always check up on me when Im in the treatment rooms, and are very friendly and welcoming. The place itself is clean, luxurious, and comfortable. Now for my treatment, Coolsculpting. Incredible! I got 1 session on my hips, and 1 session on my Belly, and its only been a 1 month, but I can already see impressive results. They say typically you see results within 1-3 months so this was a surprise to me to see results so quickly. Apparently, the belly is one of the most sensitive area to treat, so it did hurt a little bit in the beginning due to the suction, but after about 10 mins it started to numb and I was comfortable for the rest of the session. The hips were completely PAINLESS. I fell asleep to Netflix movie. Which is another nice perk of getting your Coolsculpting here. The room is fully equipped with a million pillows and blankets to keep you comfy, and Netflix to help you pass the time. I also decided to start ZO Obagi Skin Program with multiple IPL Facial treatments and 1 Laser Resurfacing treatment, and this was a game changer. Ive abused my skin so much in the sun, had sun spots and fine lines. Commit to aggressive regime and your skin will be transformed. What’s a better investment than always putting your best face forward? I love this office. It was beautiful and the staff was friendly. I was addressed promptly and was taken to the back office timely for my appointment. The staff was knowledgeable and set my mind at ease prior to my procedure. I will definitely be recommending this office to my friends and family. I shopped around a bit before going through with Coolsculpting, this being my last stop. I was nervous of this location because of previous reviews, but Susan was awesome. Very informative, and a pleasure the entire time. I came in with my sister and she had the same great experience. Everyone was attentive and accommodating. The office was clean and bright. The procedure room had a giant tv, and tons of options for things to watch, with a Bose sound system! It was an amazing experience and I am recommending this location to everyone. I visited multiple places that do this same procedure for consultations and none of those other places compares to this office. They did a great job explaining everything and honestly the cost was much lower than all the other places I had visited. The results I received were more than I expected. If you are unsure whether CoolSculpting works or not . It does ! I highly recommend sensational skin. They are the experts at many things, and especially CoolSculpting. I was amazed when I looked at the before after pics on skin stuff. I was looking for a established medical office that has been In business for a long time. Best decision I ever made. My results from 1 treatment are better than I thought. They explained that I may want more fat reduction on other areas that also bothered me. Dr. Brown and his staff are AWESOME! Started coming here for microneedling and in search of a new product line. I was introduced to the ZO Medical by Susan and haven’t looked back! They have both worked wonders for my skin. I have received CoolSculpting and Velashape as well and my results have been so satisfying. The medical esthetician are so friendly, thorough, and knowledgeable – I have never walked in not feeling welcomed or walked out unhappy. NOW I HAVE TO BRAG! Came in for fillers (I have always wanted them) and I’m obsessed! Dr. Brown is so diligent and detailed with his work. AN ABSOLUTE ARTIST! He filled my cheeks so I had more of contour, defied my chin, and gave some volume to my lips. Such a game changer yet a totally natural look! I would highly recommend Sensational Skin and rate their staff and quality of work 10/10!